Driverless motor vehicles are one of the latest technological advancements the automotive industry hopes to bring to market. While completely autonomous vehicles are not yet available, consumers can purchase or lease vehicles that provide some of these automated features. 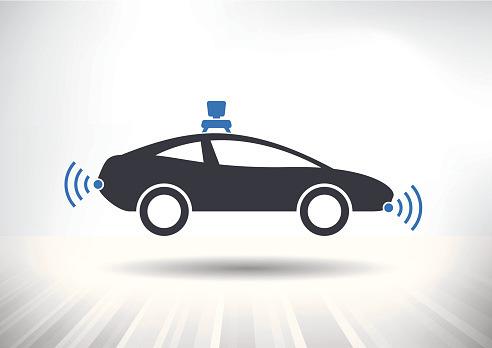 Parking assistance and crash avoidance (also known as automatic braking) are examples of technologies bringing us closer to driverless motor vehicles and vehicle-to-vehicle (V2V) communication. Despite these technological marvels, questions remain whether a truly autonomous vehicle is safe? What are the safety and liability risks of driverless motor vehicles? Can autonomous vehicles get hijacked by hackers? One of the primary risks of an autonomous vehicle is the potential for hijacking by hackers. Because these vehicles operate with the use of computer technology, a very real risk exists of the system being hacked. Computer systems in a self-driving vehicle have security protocols to help protect the information and technology. However, if a hacker is able to bypass the system’s encryption features and gain access to the main system, he or she could potentially gain control of the vehicle itself. Vehicle security is a primary concern for automakers and consumers. A recent Bloomberg article highlights some of the most serious dangers posed by this type of hacking. A hijacked automated vehicle could be used in a kidnapping, or be accessed as an escape vehicle in the commission of a crime. A hijacked vehicle also could be used as a weapon, as a means of distraction, as a way to intentionally gridlock a city, or as a means to cause serious injury or death. Another unresolved issue: If a driverless vehicle is involved in a car accident, or is hijacked by a hacker, who is legally liable for any resulting personal injuries or property damages? Can a driver be liable if he or she fails to take control of a partially autonomous vehicle to avoid an accident? If a car owner neglects to install a key security update that would potentially prevent hackers from hijacking a driverless vehicle, could the owner be held partially liable for any injuries caused? An auto manufacturer may be held accountable where a manufacturing defect causes a vehicle to fail to operate as intended. Fox Business reports that federal regulators believe that the mandatory installation of V2V communications in vehicles could potentially reduce car accidents by about 80 percent (not including accidents involving a drunk driver or mechanical failure). While reducing the number of car accidents is an important safety issue, regulators and auto manufacturers still need to address numerous unanswered questions and concerns before driverless vehicles become commonplace on our roads.